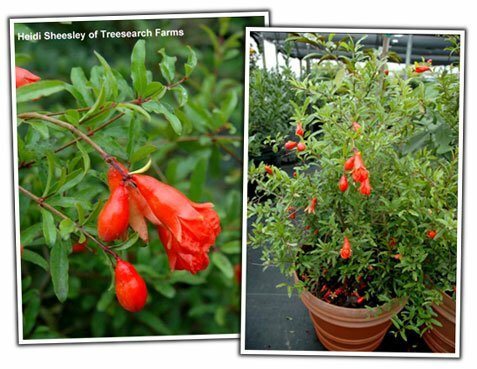 A fabulous dwarf variety with a compact, dense growth habit & an almost constant display of 2 orange-red single flowers throughout the hot summer months followed by adorable 2 red fruit. 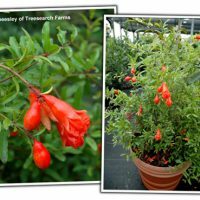 It does equally well in a landscape or in a container & is one of the most popular of all dwarf trees for bonsai hobbyists. This colorful, wonderfully textured deciduous shrub loves the heat, tolerates a variety of soils, & is drought tolerant once established. It reaches 3-4 tall but can easily be kept much smaller. Sun & well-drained soil.